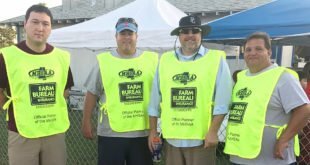 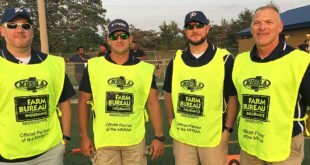 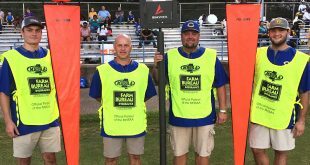 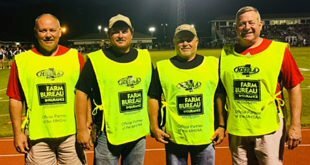 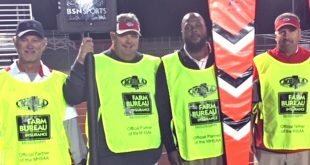 Chain crews play an important role in the support of high school football in Mississippi. 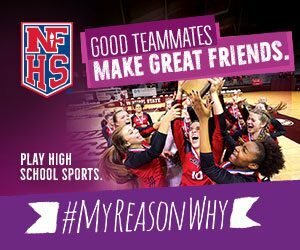 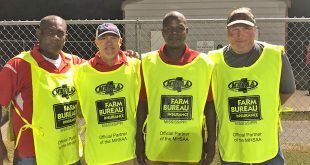 The MHSAA thanks these individuals and our MHSAA partner Mississippi Farm Bureau for their contributions to member schools. 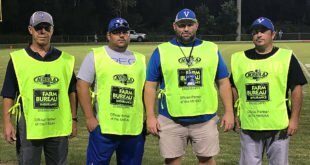 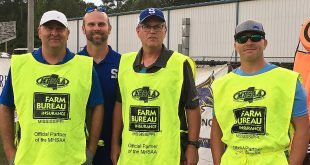 Sumrall chain crew member are, from left, Hank Lott, Kyle Bass, Jim Ford and Ricky Smith. 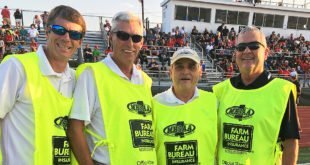 St. Stanislaus chain crew members, from left, Mike Meyers, Bryce Morrealle, Bruce Morealle and Brian Milner. 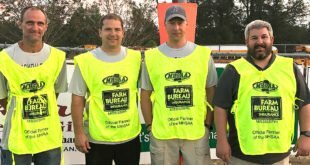 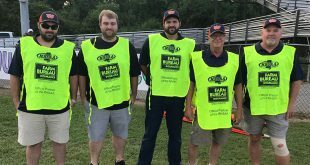 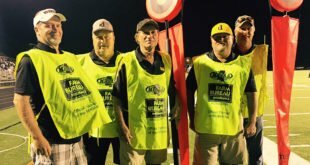 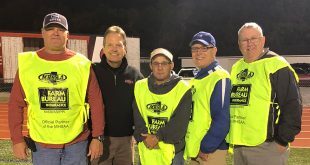 New Albany chain crew members include, from left, Chris Moore, Jerry Foster, Mike Alef, Drew Davis, Walt Harrison and Geoffrey King. 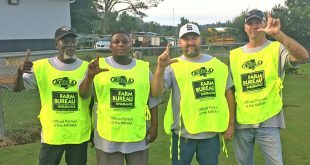 Combined the five chain crew members from Moss Point have 130 years serving as Moss Point’s chain crew. 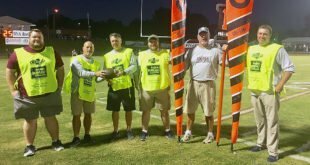 Members include, from left, Brent Knowles, Allen Grissom, Mike Turner, Shane Turner and Tommy Turner. 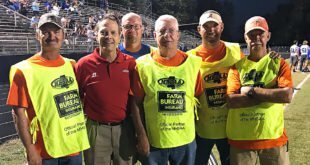 Also pictured (in red) MHSAA Executive Director Don Hinton. 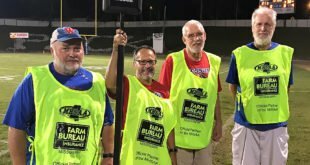 North Pontotoc High School chain crew members include, from left, Dustin Talley, Terry Steele, Michael Bailey and Joel Matthews. 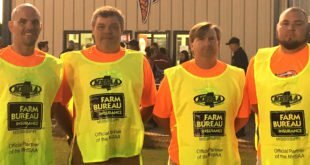 Northwest Rankin chain crew members include, from left, Casey Westbrook, Larry Swales, Richard Polzin and Ron Martin. 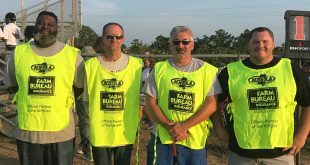 Wesson chain crew members include, from left, (Left to Right) Rick Lyle, Mike Williams, Paul Smith and Bill McGuire. 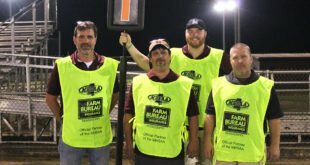 Clarkdale chain crew members include, from left, Greg Evans, Anthony Mann, Tim Garrison and Brad Pigott.